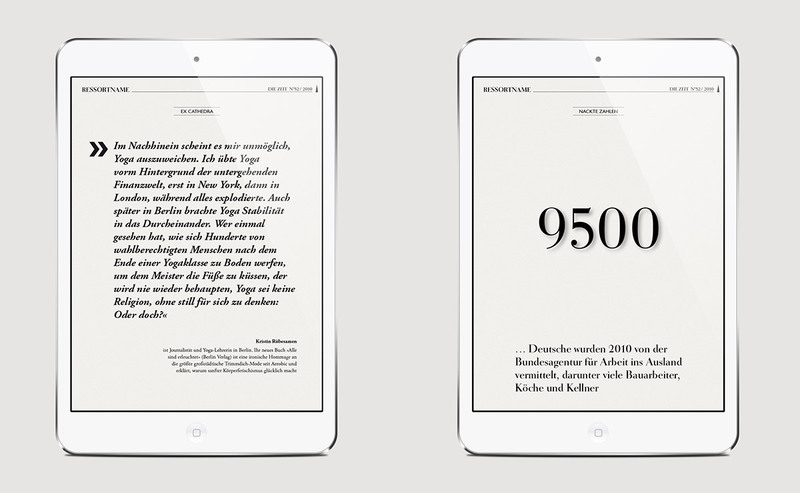 The team's task was to transfer the unique reading experience of Germany's best-selling weekly newspaper DIE ZEIT from the medium of paper to the medium of tablet. 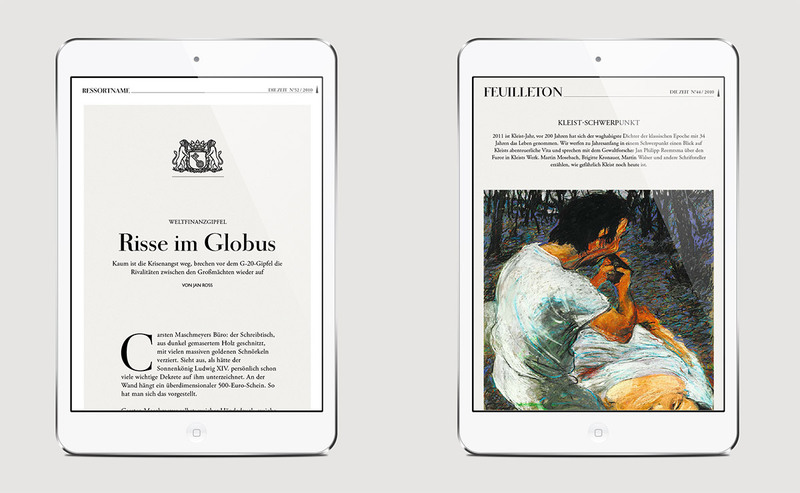 Together with the editorial management we went through a rigorous choice of the newspaper's top columns which would receive an HTML5 template. 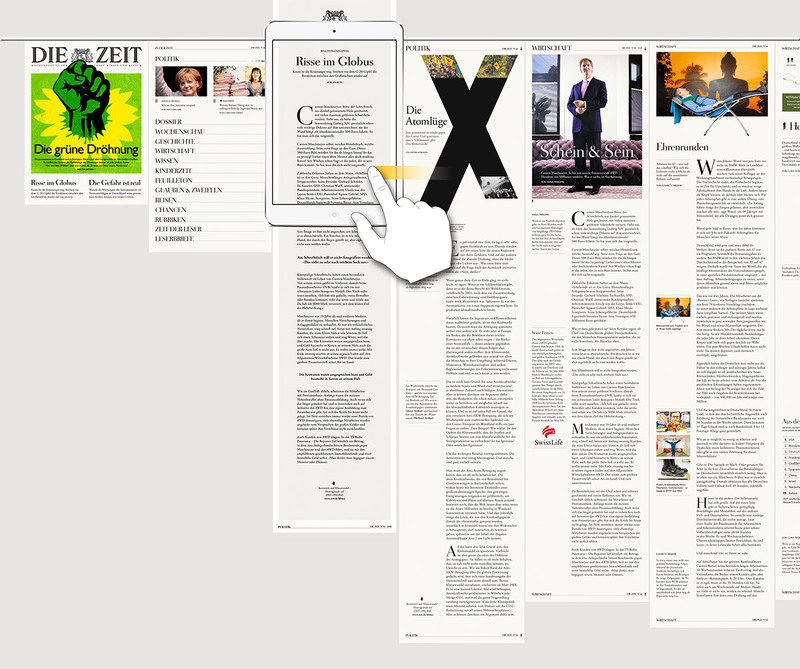 The whole creative process was completed by creating all column templates in a close cooperation with the newspaper's art directors, prototyping them into an app with the Adobe Publishing Tool and final product presentation to the management staff. Disclaimer: All graphic and photographic material is owned by the client. 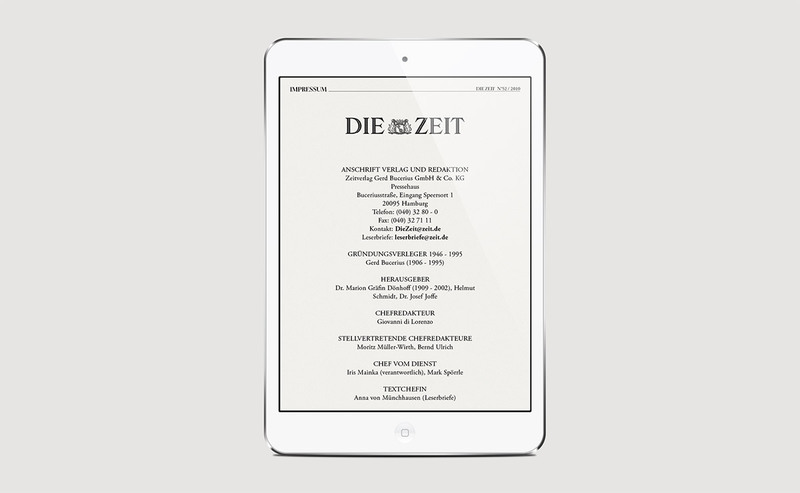 "Titelblatt" is the front page of the newspaper. 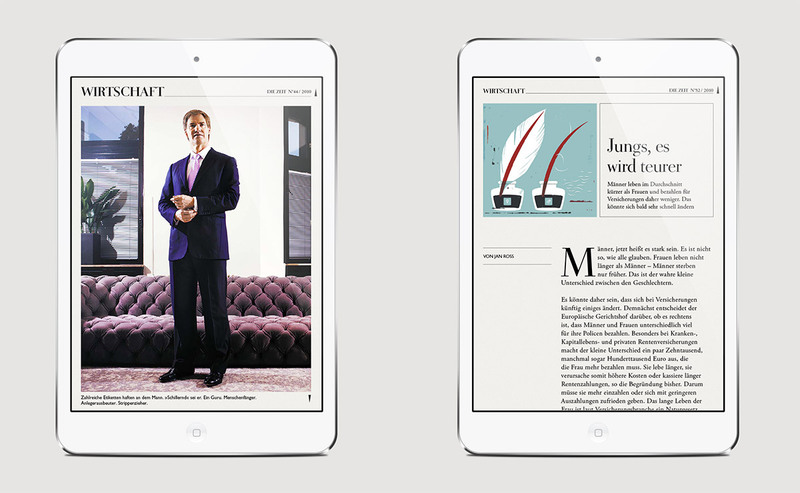 It is a really big challenge to fit a newspaper's front page on an iPad. Here you can see the results. Portrait and landscape as well. The clothesline is the navigation metaphor of the app. 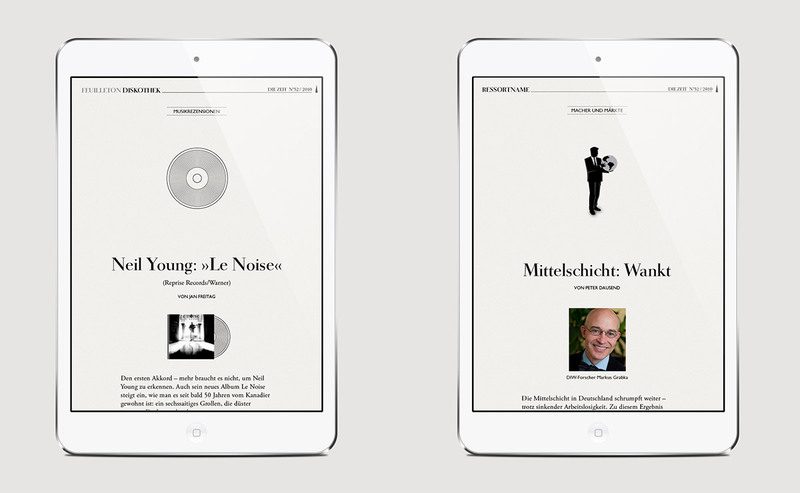 It arranges all templates on a clothesline and lets you browse through the newspaper. 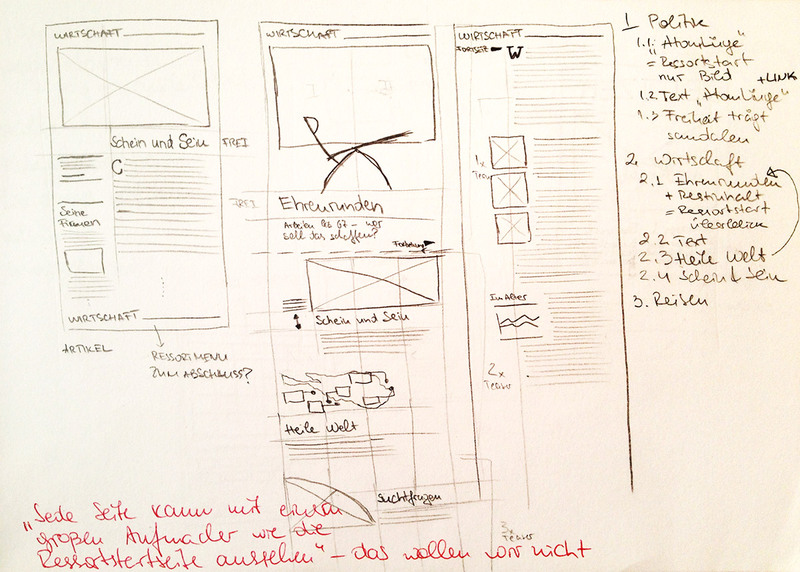 A double swipe leads the user directly to the lead story of the next department. 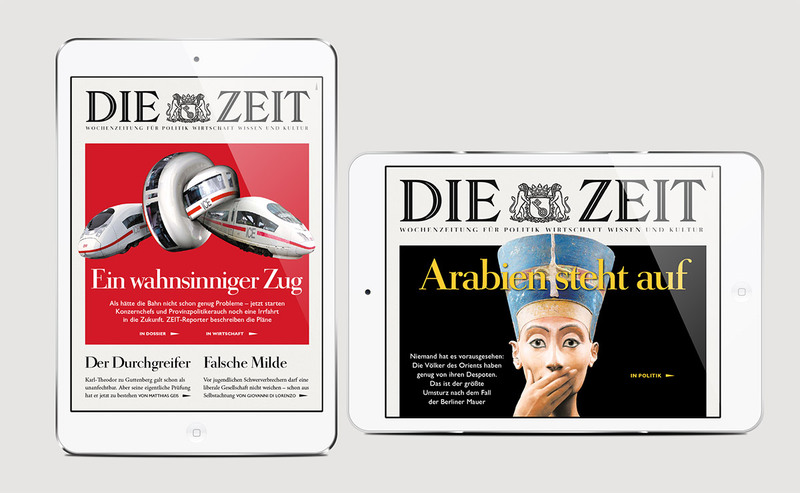 First off is the "Leitartikel". This are always the first two columns you will see in the printed newspaper. This template enjoys special treatment from the editorial staff and therefore receives a white frame for focusing attention, one single column and the picture mark of the newspaper above the headline. This is the lead story of each department. In this example it is the lead story in Economy. You can see the department name in the top left corner. The lead story has a fullscreen picture with a small arrow hinting that the content continues beneath. "Rubriken" are smaller, more stylised columns in areas such as music, politics, etc. Here are four examples. This is the final page of the newspaper app with all the credentials of the staff.